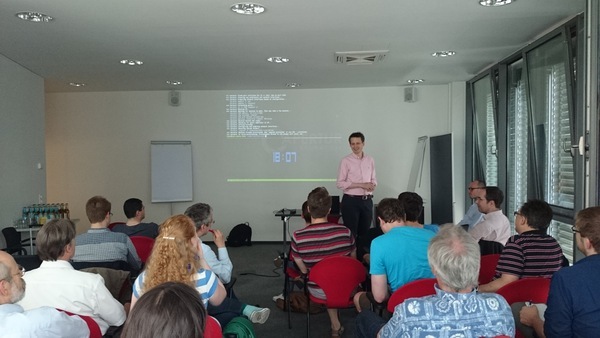 Last Friday the Cologne R user group came together for the 14th time. For the first time we met at Startplatz, a start-up incubator venue. The venue was excellent, not only did they provide us with a much larger room, but also with table-football and drinks. Many thanks to Kirill for organising all of this! 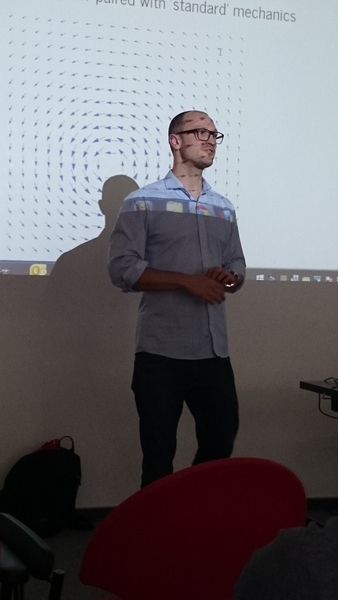 We had two excellent advanced talks. Both were very informative and well presented. Kirill Pomogajko showed us how he uses various command line tools to pre-process log-files for further analysis with R.
Imagine you have several servers that generate large data sets with no standard delimiters, like the example below. The columns appear to be separated by a blank at first glance, but the second column (Military) has strings such as Air Force that include a blank itself. Furthermore, other columns have missing data (Month) and another uses speech-marks (Car). 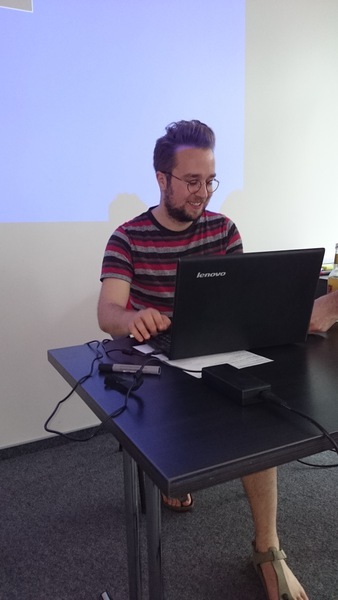 Thus, it’s messy and difficult to read into R.
To solve the problem Kirill developed a Makefile that uses tools such as scp, sed and awk to download and clean the server files. Kirill’s tutorial files are available via GitHub. Paul Viefers gave a great introduction to Stan and RStan, with a focus on explaining the differences to other MCMC packages such as JAGS. Stan is a probabilistic programming language for Bayesian inference. One of the major challenges in Bayesian analysis is that often there is no analytical solution for the posterior distribution. Hence, the posterior distribution is approximated via simulations, such as Gibbs sampling in JAGS. Stan, on the other hand, uses Hamiltonian Monte Carlo (HMC), an algorithm that is more subtle in proposing jumps, using more structure by translation into Hamiltonian mechanics framework. Paul ended his talk by walking us through the various building blocks of a Stan script, using a hierarchical logistic regression example. You can access Paul’s slides on RPubs. 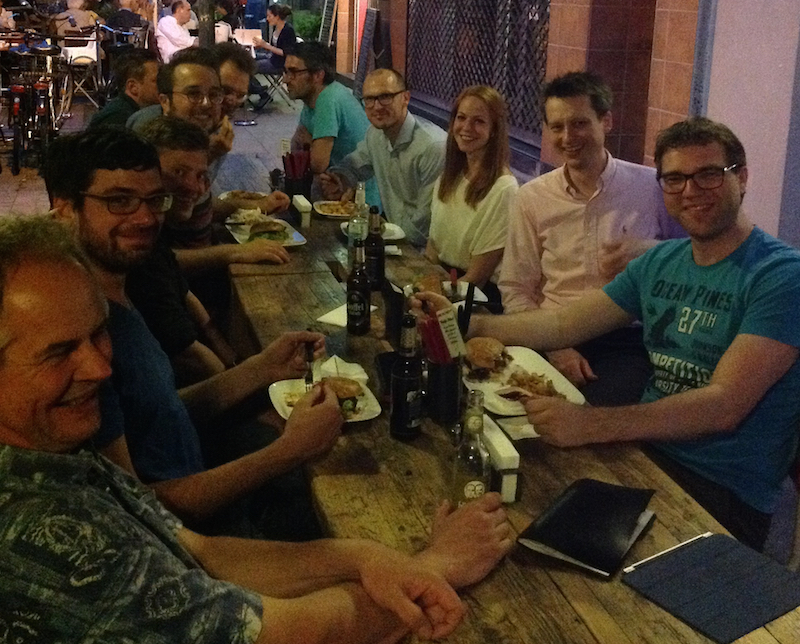 No Cologne R user group meeting is complete without Kölsch and networking. In the end some of us ended up in a fancy burger place. The next meeting will be scheduled in September. Details will be published on our Meetup site. Thanks again to Revolution Analytics for their sponsorship.